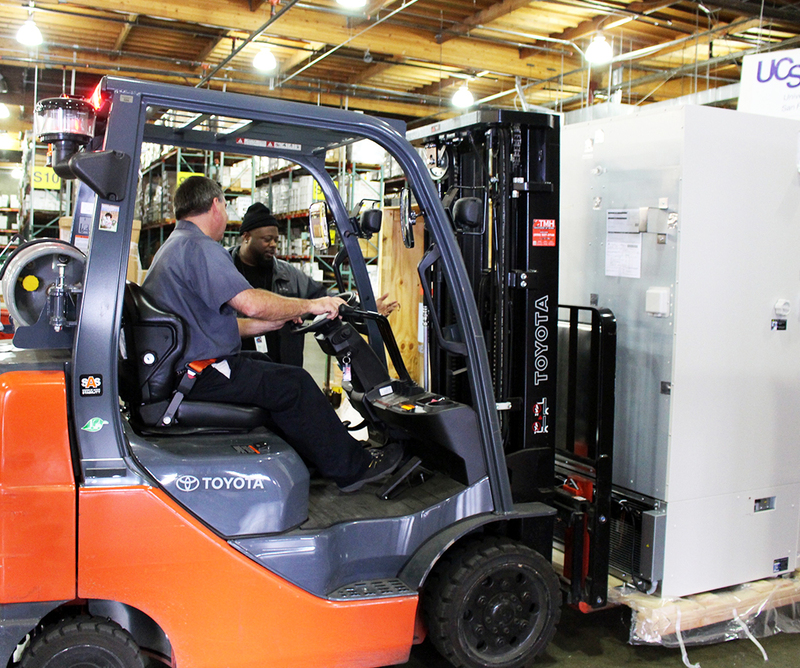 The UCSF large-equipment program enables vendor delivery of goods to Logistics' Oyster Point facility. Large equipment may be any item that exceeds $5,000 in cost and weighs over 75 pounds. If a thorough inspection does not occur prior to signing for a trucker’s delivery, the department will be liable for concealed damage. Upon arrival at Oyster Point, we uncrate and inspect for external damages before taking possession from the carrier. Door removal may be needed to accommodate equipment. Other equipment in the lab may also need to be rearranged to make room for the new equipment. Our employees coordinate with your department to schedule a delivery time that works best for you. Our goal is to ensure that your equipment arrives in showroom condition. Routing deliveries through Oyster Point also supports the UCSF Long Range Development Plan to reduce vehicular congestion on campus and minimize the impacts on our neighbors. Fill out the description of labor; include your BearBuy purchase order number and other information to complete the delivery. For more information, check out the Large Equipment Receiving, Assembly and Delivery Frequently Asked Questions.